Clearwater Spas has the best hot tub features. 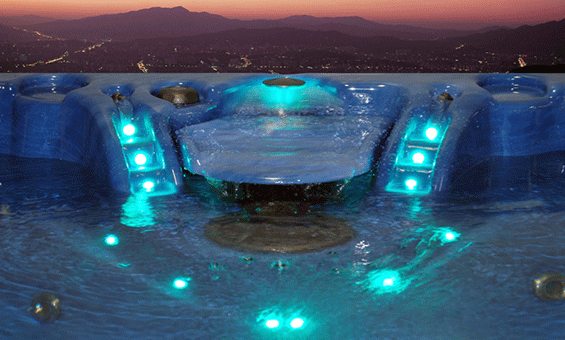 Clearwater Spas prides itself on its premium and classic LED lighting packages it offers on their spas. Setting the mood has never been easier with the multicolored and fully programmable lighting that they offer. TPS™ Complete Water Purification System. 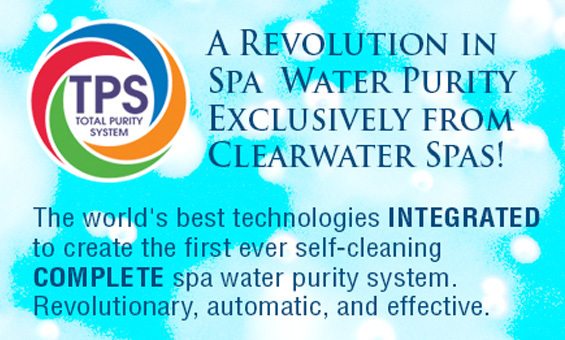 Clearwater Spa's proprietary TPS™ Complete Water Purification System combines some of the worlds best water purification technology to make sure that your spa stays clean and clear! From using natural copper and mineral elements to using UV light rays and and an oxidation system - you can be certain that this automatic system is quality and effective.